The wife of a man, Tunde Olatubosun, standing trial for alleged murder of a motor-boy in Abeokuta, has been found dead. Mrs. Olatubosun was allegedly murdered in the family’s residence located in Gbonagun, an outskirt of Abeokuta, Ogun State‎. Her body was discovered in the house three days later. “The corpse of the woman was discovered in their house after about three days of looking for her. We are still investigating the mystery surrounding her death,” the Ogun police spokesperson, Abimbola Oyeyemi, told Premium Times. Mr. Olatubosun allegedly shot dead Razaq Kasali at a car wash in Abeokuta. He initially ran away but was later arrested by the police. 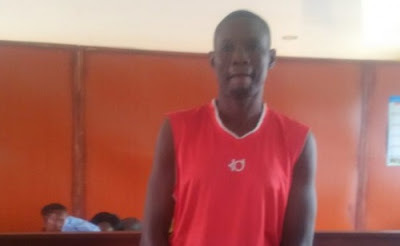 He was arraingned before a Magistrate Court in Abeokuta on May 25 on a four-count charge of murder,armed robbery,illegal possession of firearms and ammunition, and impersonation. The police prosecutor, Moshood Hammed, told the court that the police was still awaiting the advice of the Director of Prosecution. The magistrate, M.A. Akinyemi, in his ruling ordered that the accused be remanded in prison custody at Ibara, Abeokuta, and also adjourned hearing to July 31.